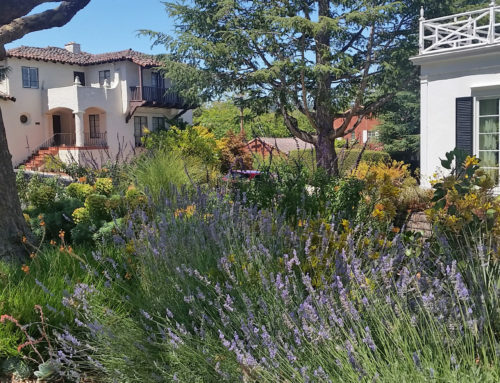 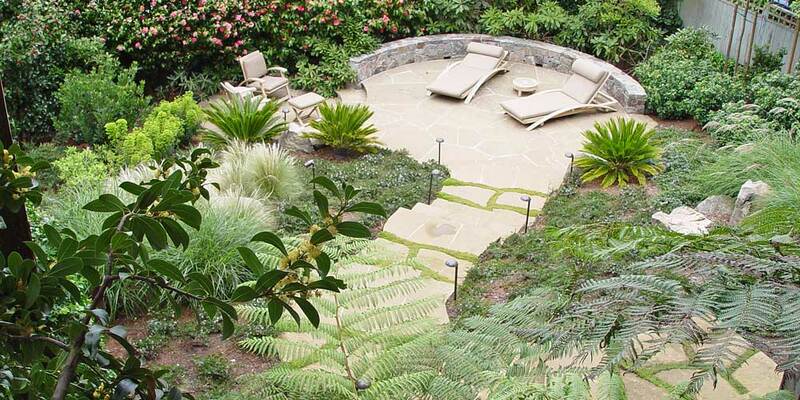 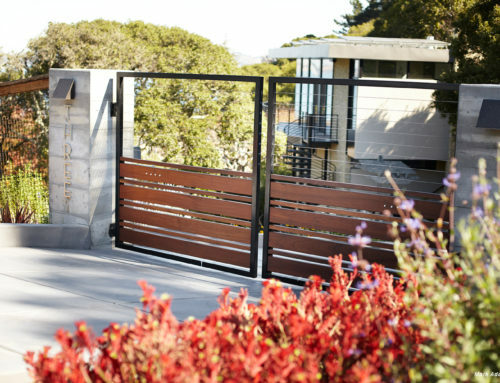 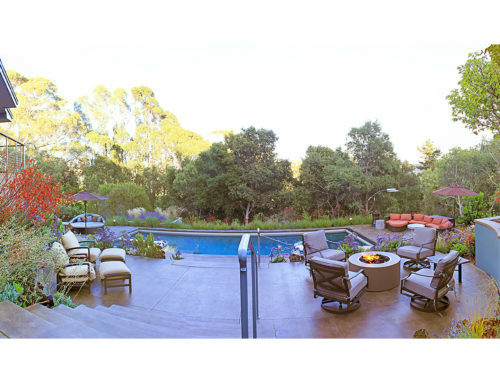 This Pacific Heights garden resulted from our clients desire to makeover their formal backyard into a water wise urban retreat that evokes the aesthetic of the San Francisco Presidio, which they frequent. 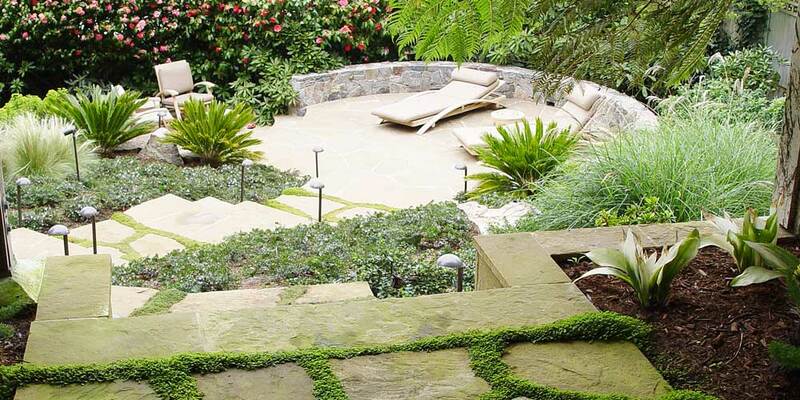 Winding stone steps lead down to a large stone terrace accommodating two chaises. 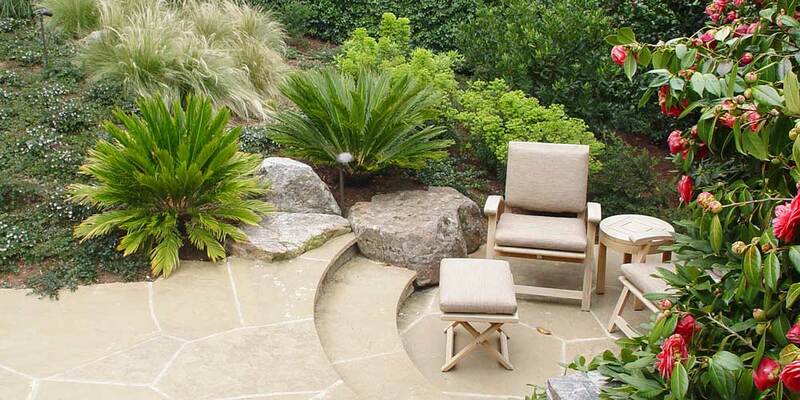 A smaller patio, to the side, holds a pair of lounge chairs and provides an intimate conversation setting. 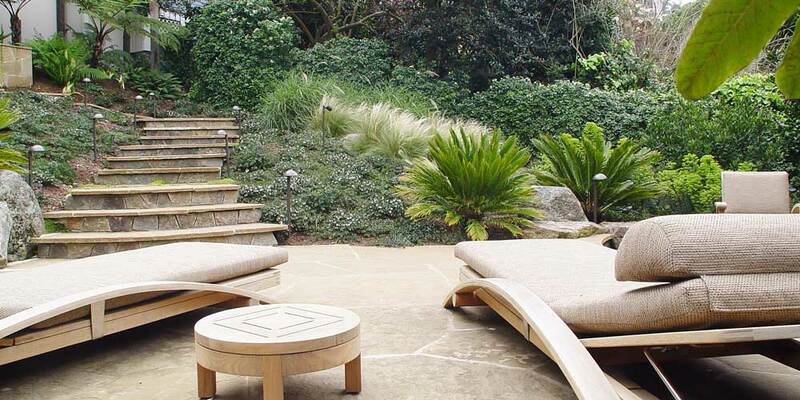 The stone wall, sago palms, different native ground covers and plants found in the Presidio enhance the theme, albeit scaled down for a family to enjoy. 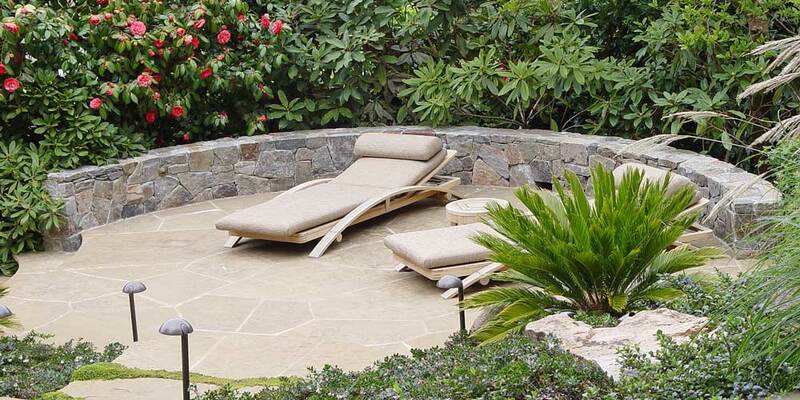 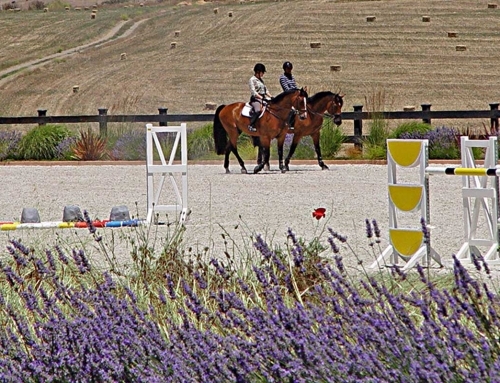 The patio is located to receive the afternoon sun in abundance, and is furnished with Summit furniture. 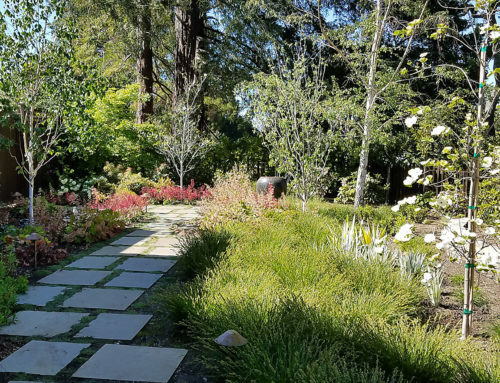 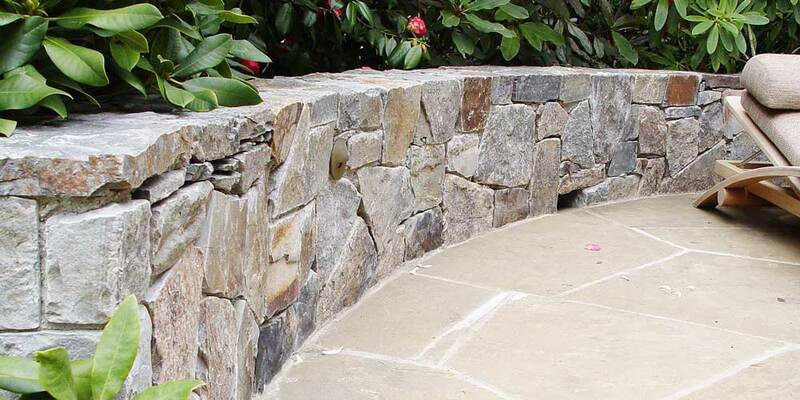 The informality of the winding stairs and path is accentuated by the planted joints in the landings, breaking the ribbon of stone, and linking the planting on both sides of the path.